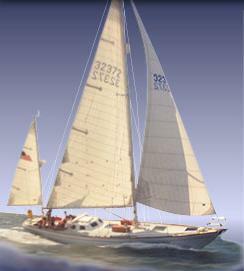 The Mercer 44 is a traditional cruising boat often referred to as Bill Tripp’s best design. She was designed with sailing performance in mind with a full keel and centerboard for additional stability while sailing and ease of anchoring in any harbor while cruising. Her flush deck allows for ease of movement when going forward. The interior sleeps seven which is wonderful for a boat with a 30’ waterline. Standard equipment includes sloop rig, diesel inboard, head, galley, life lines, winches, and varnished mahogany interior. 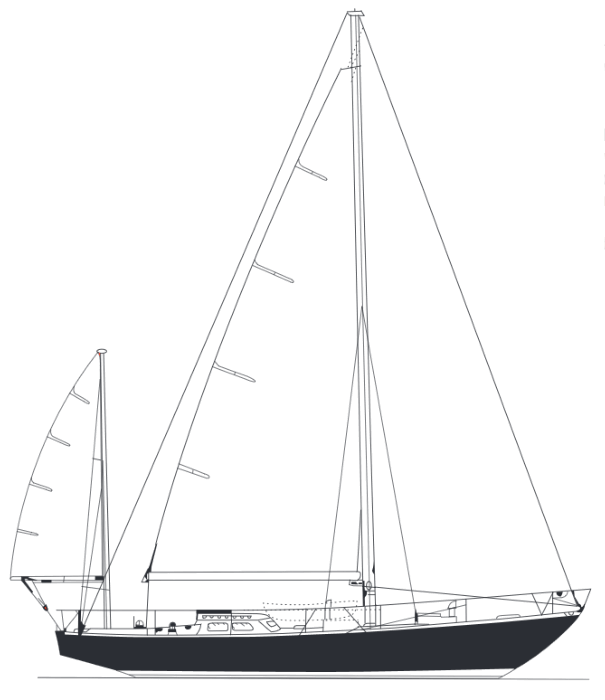 Options include Yawl rig, roller furling headsail, spinnaker gear, navigation station and more. Sail Area Yawl Rig 901 sq. ft.
Sail Area Sloop Rig 885 sq. ft.